The following post was written by Michael Brenes, Senior Archivist for American Diplomacy, Manuscripts and Archives. The events at the end of the summer in Charlottesville, Virginia, brought into sharp focus the ongoing and painful legacy of racism in the United States. But the marches led by white supremacists, including members of the Ku Klux Klan—now collectively rebranded as the “Alt-Right”—also generated a resounding and determined resistance against the violence witnessed around the world, which echoed the vibrant history of social movements in the United States. Indeed, as much as the horror at Charlottesville revealed the conspicuous bigotry that remains prominent within sectors of the country, it also offered an opportunity for historical reflection—to assess the significant progress made on civil rights and race relations. 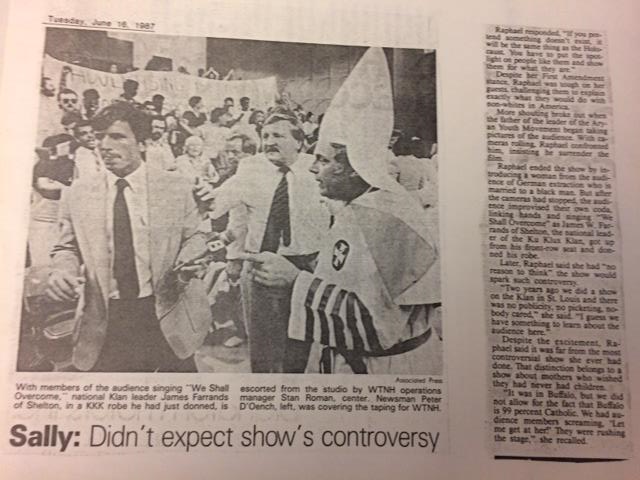 News clipping from an unknown paper documenting the Ku Klux Klan in New Haven for the taping of Sally Jesse Raphael Show, 1987 June 16. Mary Johnson Papers (MS 2050), Box 15, folder 12. For the Yale and New Haven community, the moment recalls the 1980s, when members of the Ku Klux Klan held marches and rallies across Connecticut. In May 1980, Imperial Wizard Bill Wilkinson of the Invisible Empire, Knights of the Ku Klux Klan came to Hartford, Connecticut, in response to “an influx of applications” received by the hate group. Days after Wilkinson’s announcement, ten Klansmen burned a cross in Hartford near Bradley International Airport. By March 1981, the Klan arrived in Meriden looking for a confrontation. The hate group planned a march to recruit new members, creating a tense standoff between the Klan and counterprotestors. The march quickly turned violent, with demonstrators pelting Klansmen with bottles and bricks. The Klan was chased out of Meriden, but vowed to return. As recent Yale graduate Nelson Reed (’17) wrote in his senior essay , “[t]he Invisible Empire was like a parasite in Connecticut: small and persistent, the Klan wreaked havoc, threatening the state’s racial immune system,” much to the dismay of the state’s residents. 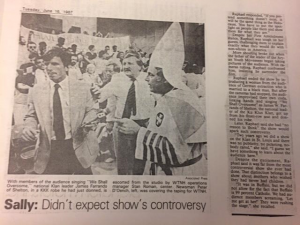 The Klan resurfaced in Connecticut again in 1987—this time, in New Haven. 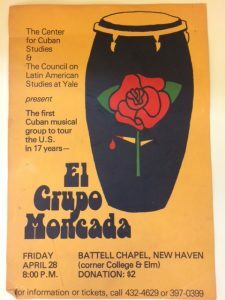 The talk-show host Sally Jesse Raphael invited members of the Aryan Youth Movement and James Farrands of the Shelton chapter of the Ku Klux Klan to a taping of her show in New Haven, ostensibly to discuss why they maintained such repugnant ideas. One of the leaders of the resistance against the Klan was Mary Johnson, a longtime activist in New Haven since the 1960s. Johnson argued that Raphael was sensationalizing white supremacy. Johnson told the New Haven Register, “The Klan has not made any attempt to come to New Haven in many years and [Raphael] has the gall to invite them, to give them a platform.” Johnson and fellow activists shouted down the Klan at the taping, forcing white supremacists in the audience to leave the stage. 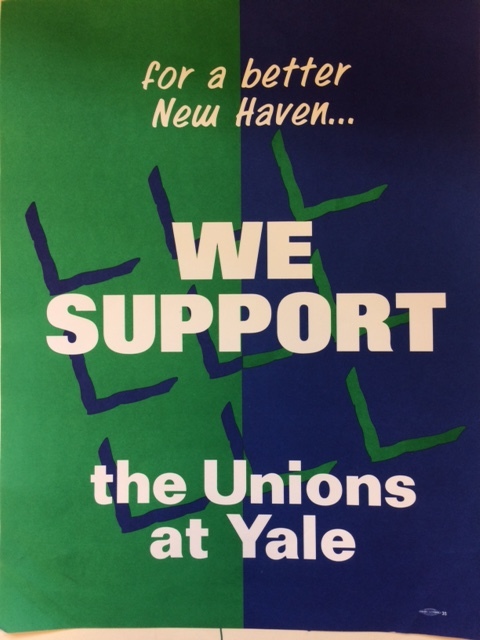 “We Support the Unions at Yale,” poster, circa 1980s. Mary Johnson Papers (MS 2050), Box 20. Mary Johnson’s run-in with the Klan represented only one moment in a lifetime of fighting against injustice. Her papers in Manuscripts and Archives—donated to Yale in 2016—demonstrate Johnson’s longstanding interest in a range of social issues, from dilapidated housing and poor public transportation in New Haven, to immigrant rights and union organizing. Johnson was also involved with the group Greater New Haven Coalition for People, whose records came to Manuscripts and Archives in 2014. 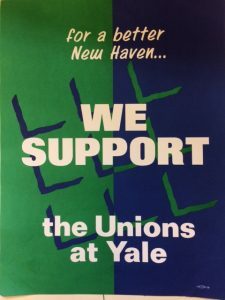 Now processed and accessible to researchers, both collections offer multiple possibilities for researchers looking to discover more information about the history of social activism in New Haven and its connections to the Yale community. Mary Johnson died on August 13th, 2017, but with her archival collection in Manuscripts and Archives, her storied and extensive legacy in New Haven activism and politics will endure. 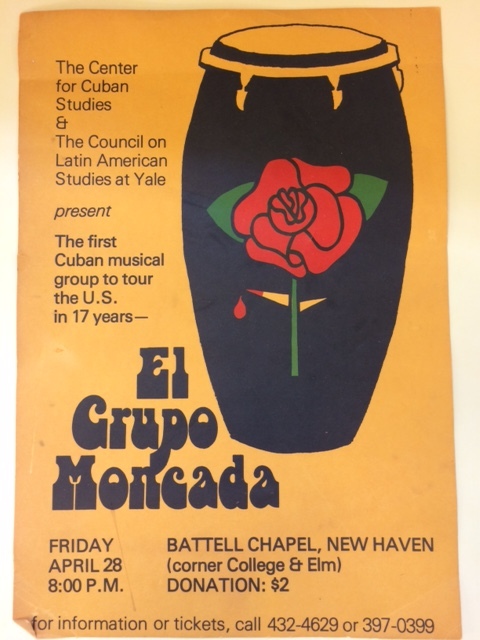 “El Grupo Moncada” event poster, circa 1980s. Mary Johnson Papers (MS 2050), Box 20. This entry was posted in Collections, New Haven History by bl326. Bookmark the permalink.